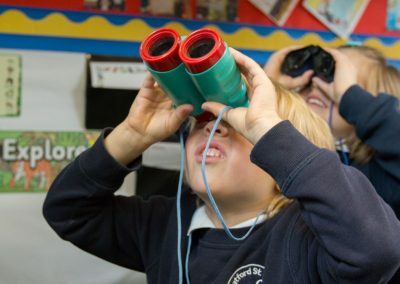 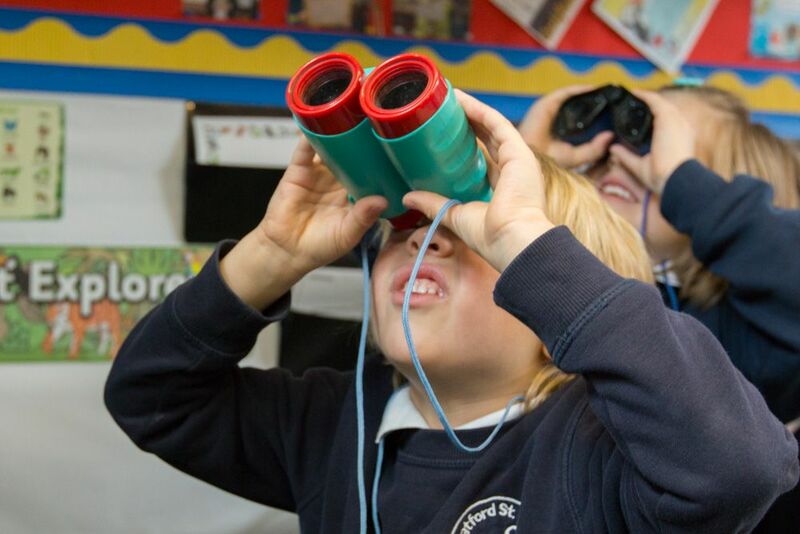 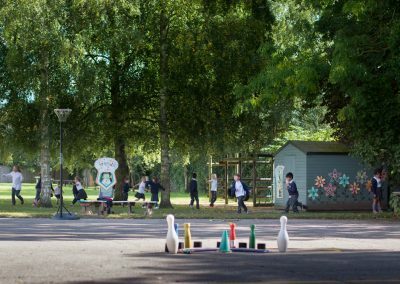 Explore our school and grounds using the interactive map. 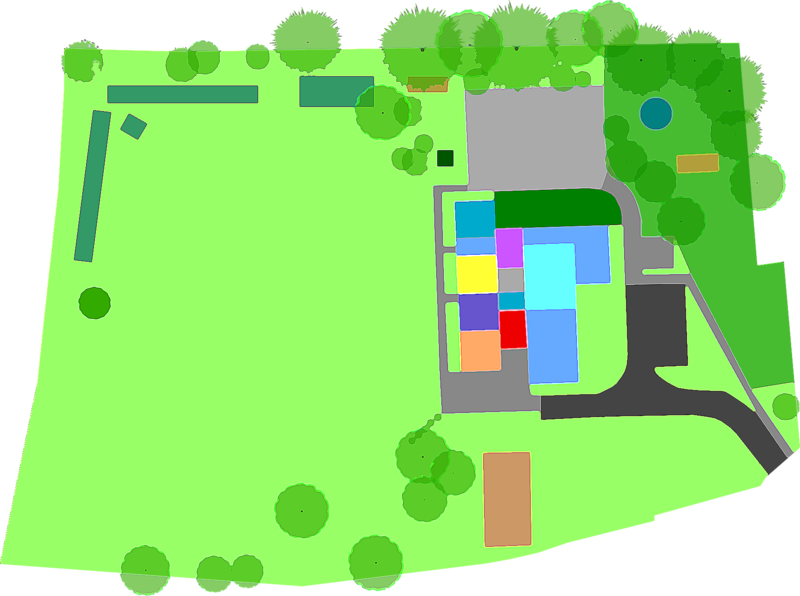 Hover over the map to highlight areas. 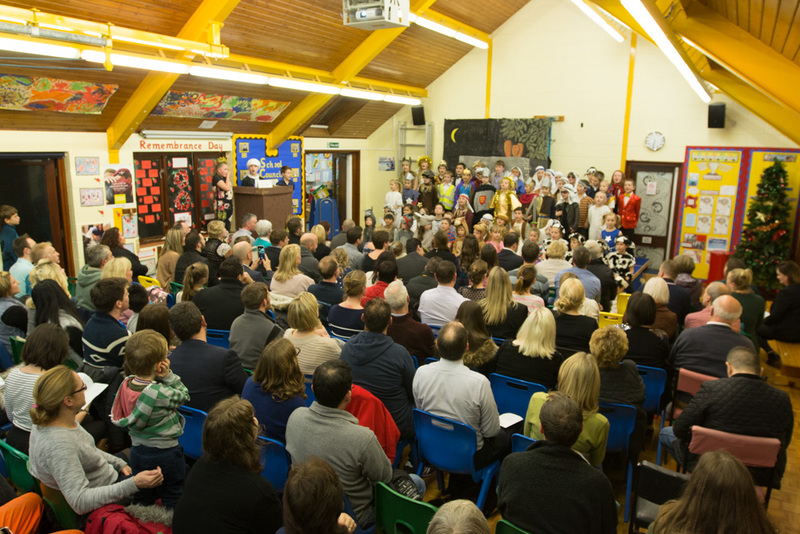 Click an area to view photos and further information. 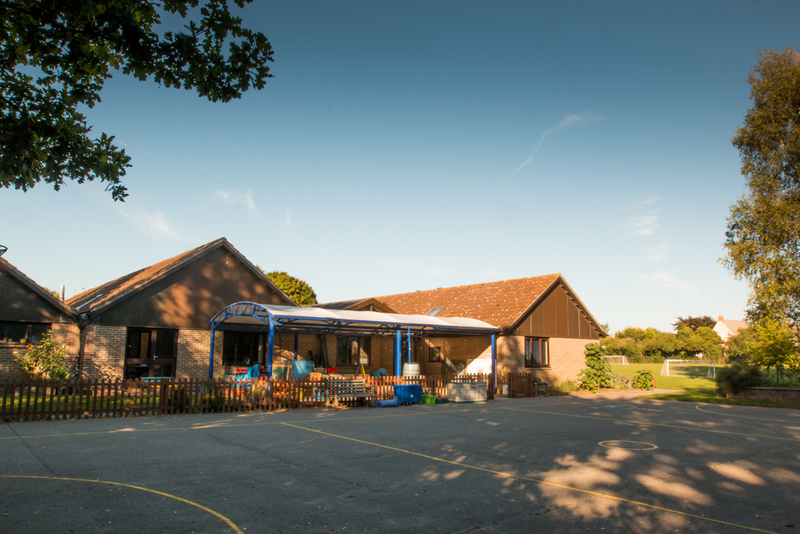 Our school is very light and airy. All of the classrooms have windows which look out onto our extensive field. 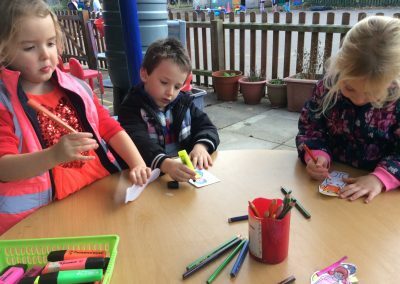 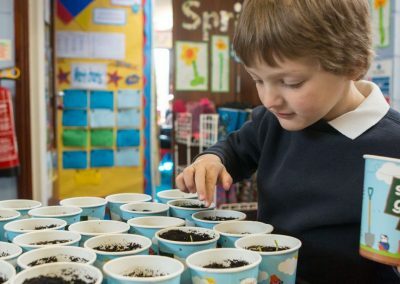 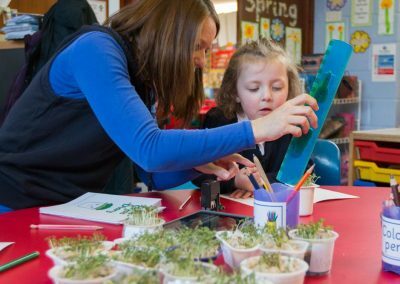 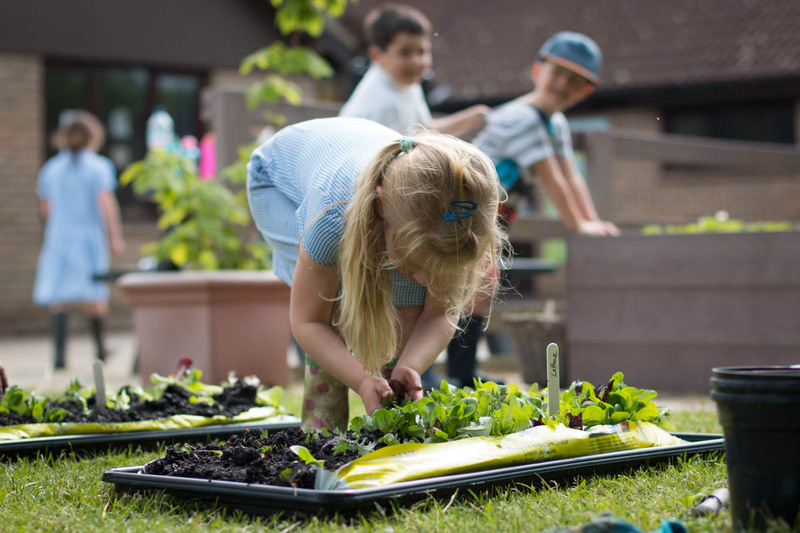 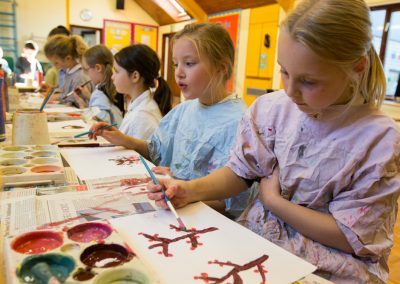 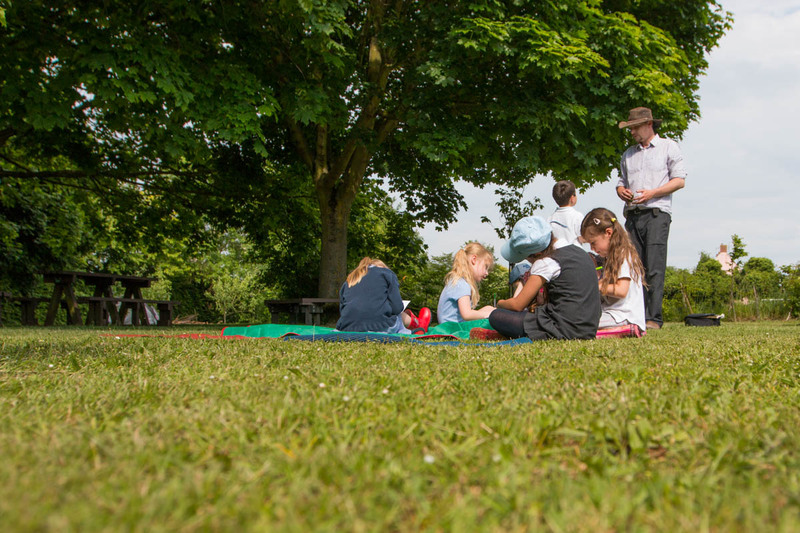 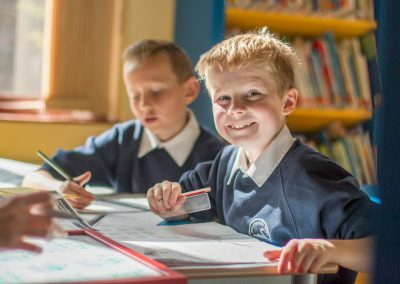 As well as the four main classrooms and the Early Years outdoor area, we have practical areas which are excellent for art and practical activities as well as small group work. 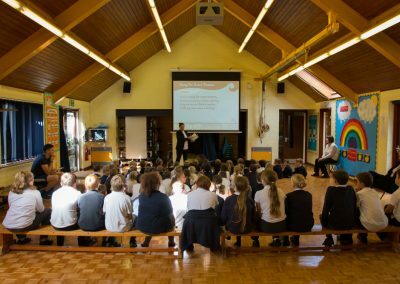 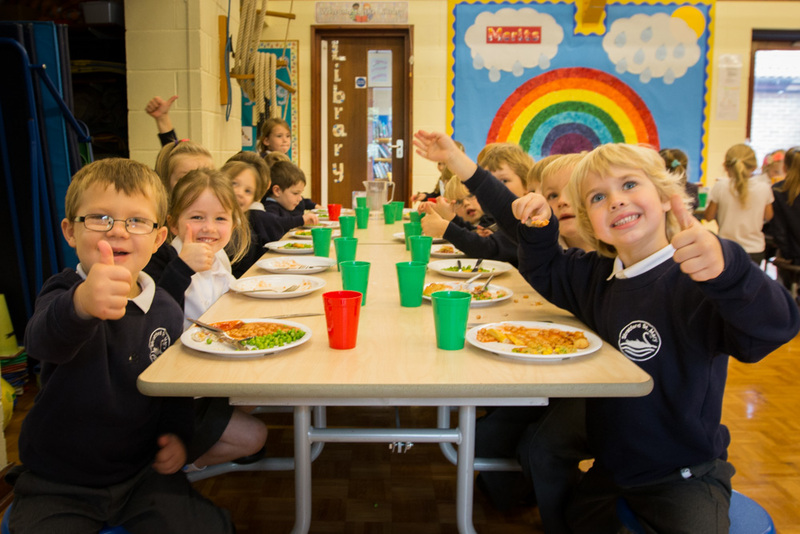 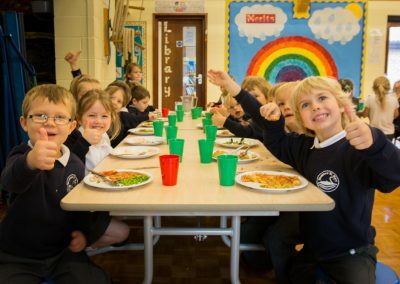 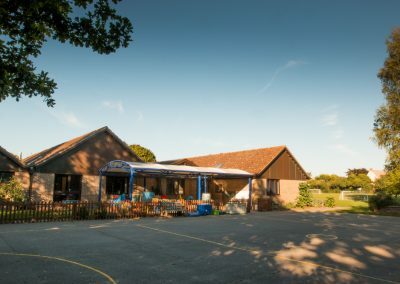 Our spacious hall serves as an assembly area, PE space and also a dining room where the children eat their meals, which are cooked daily on site. 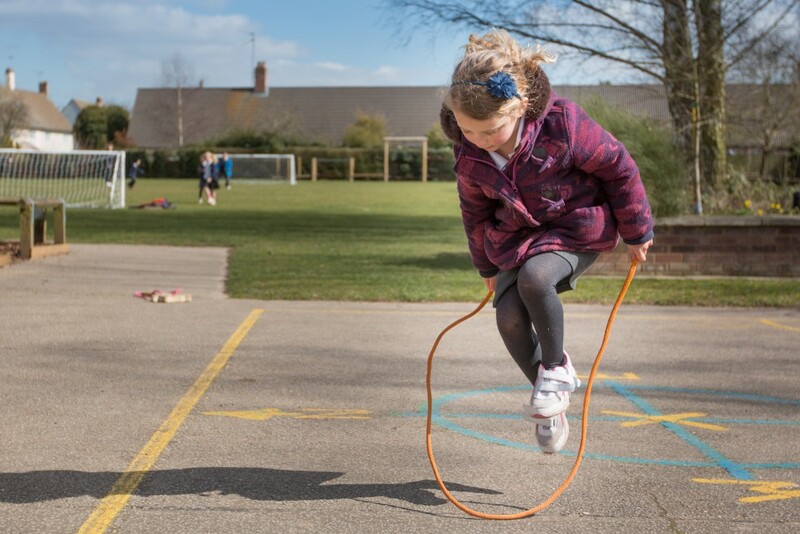 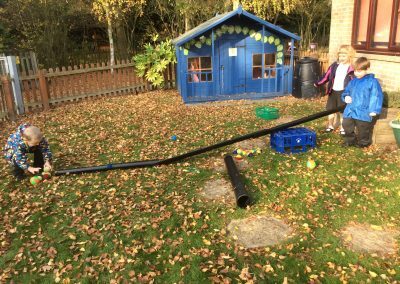 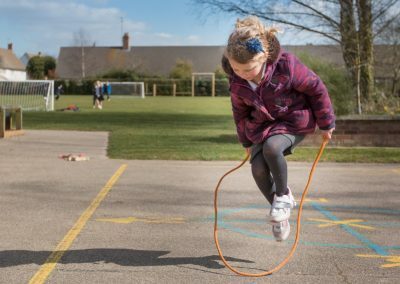 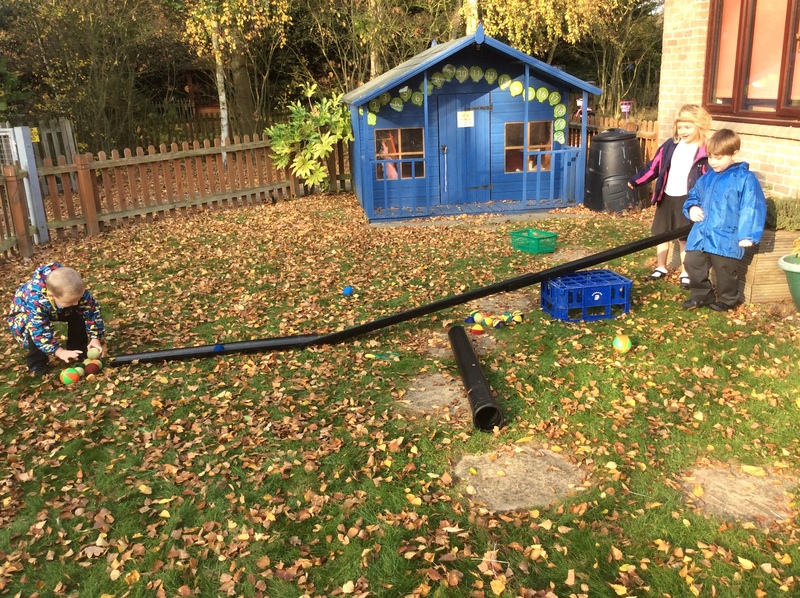 Children have access to a range of playtime equipment: skipping ropes, rackets, balls, hoops and an array of catching equipment organised by our young playtime leaders and monitors. 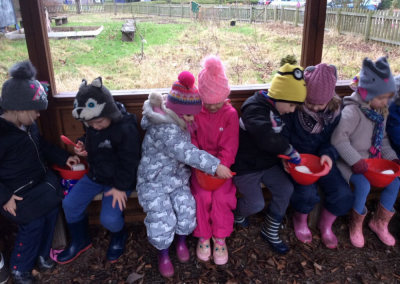 Our outdoor area is an extension of the Early Years classroom. 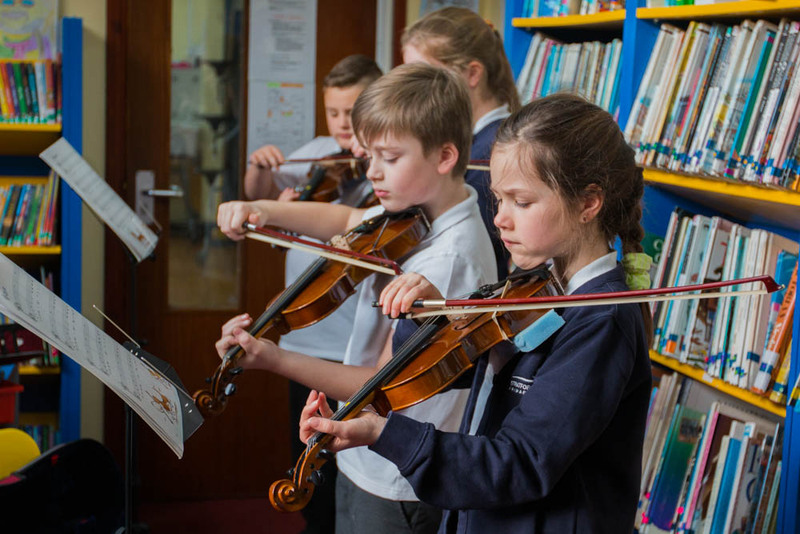 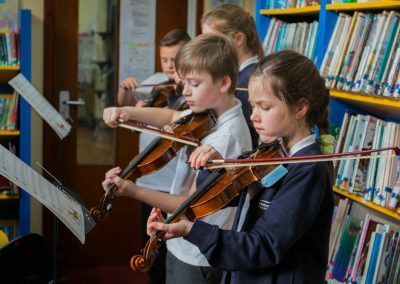 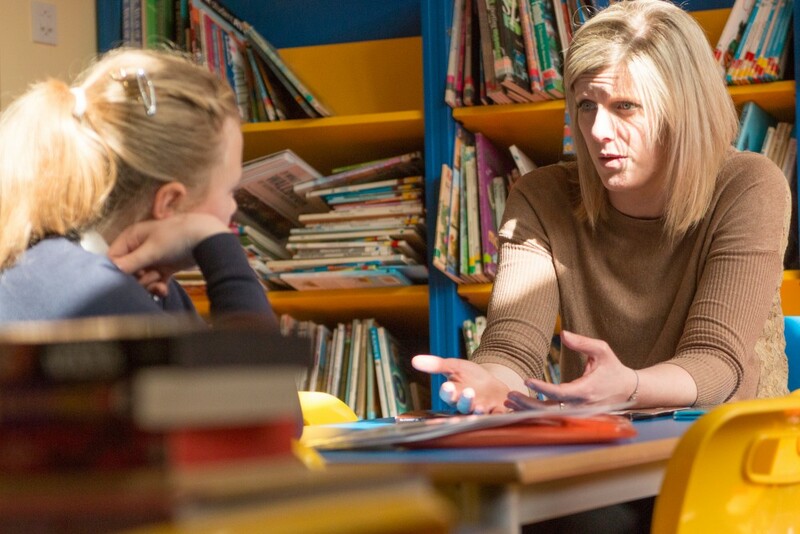 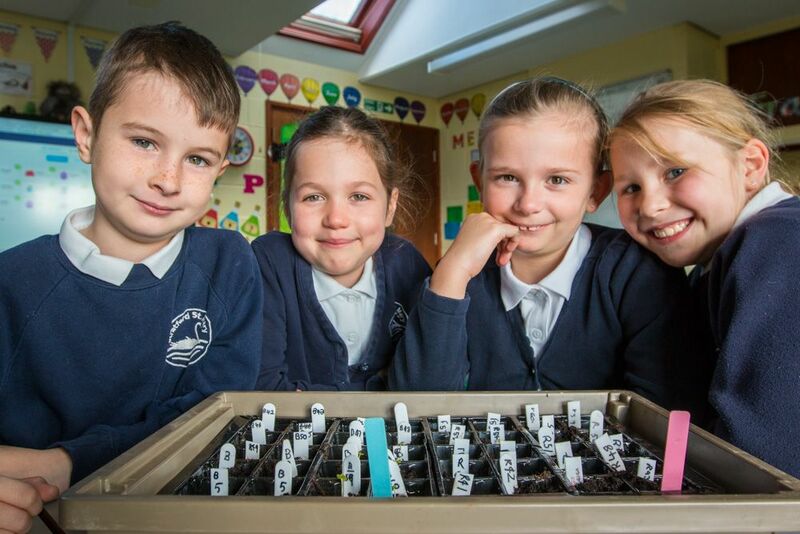 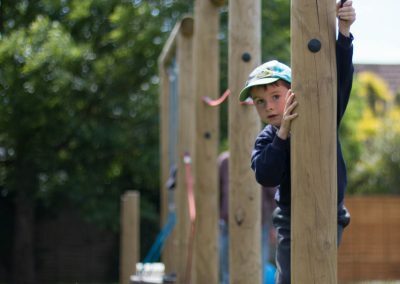 Here the children are given the opportunity to learn, explore and develop in this safe and stimulating space. 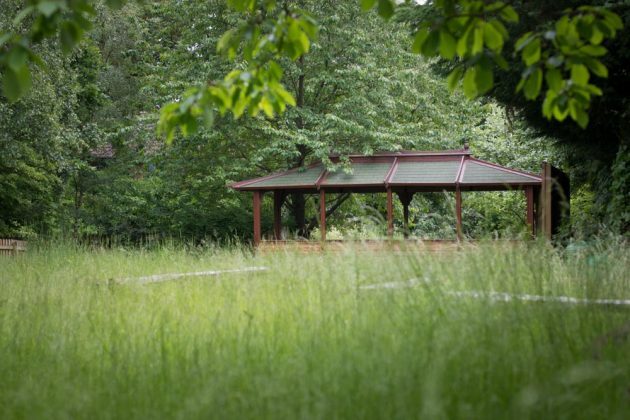 We are very fortunate to have fantastic grounds which span approximately three acres. 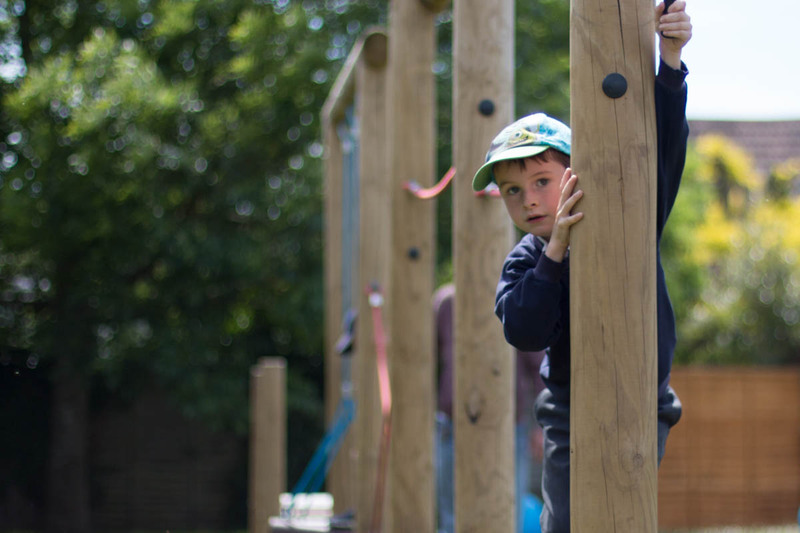 Within this space we have: a large field with a climbing wall, wooden climbing equipment and gym trail. 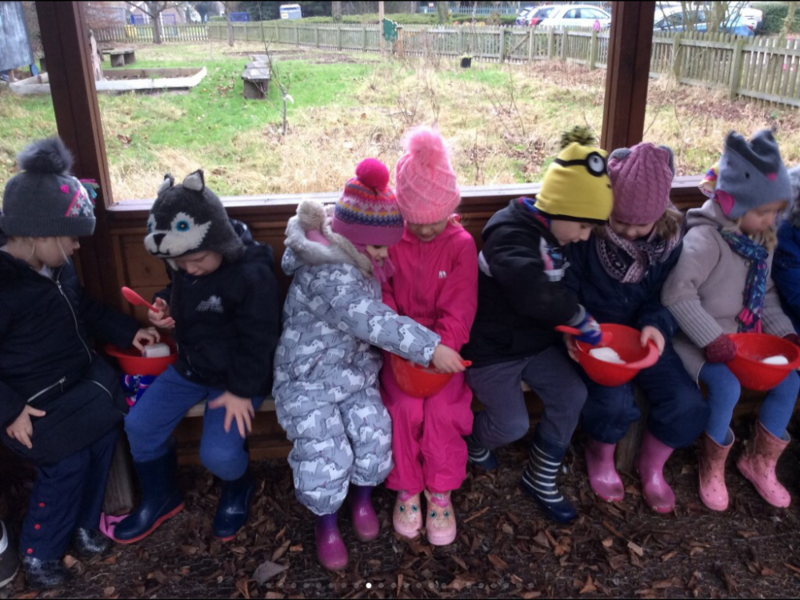 The children utilise this area each playtime whether this be in trainers or wellington boots! 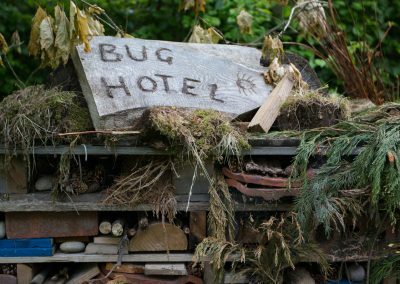 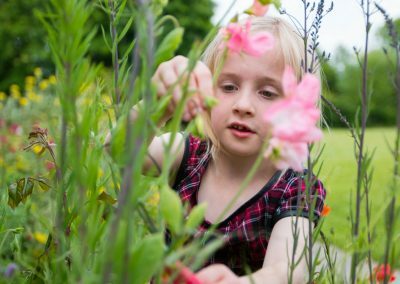 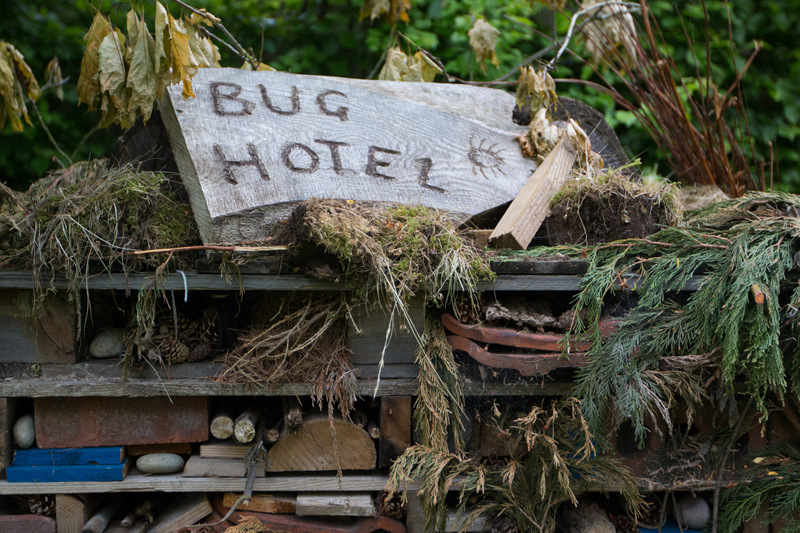 We have several nature areas: a willow dome, a pond (which is loved by frogs), a fruit orchard and a natural wildlife garden which includes a ‘bug hotel’ and a log mound. 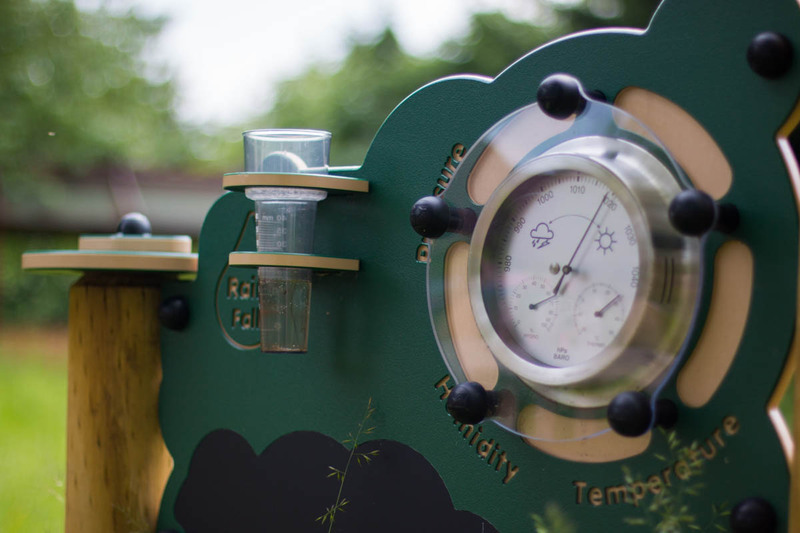 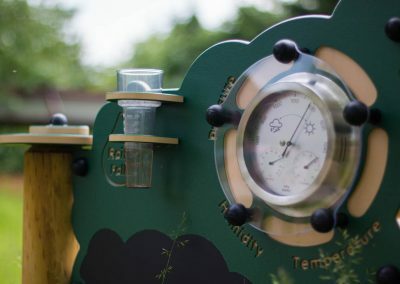 For the last two years, we have created a garden (based on a given theme) for the Suffolk Show and been awarded Gold and Silver for our creations. 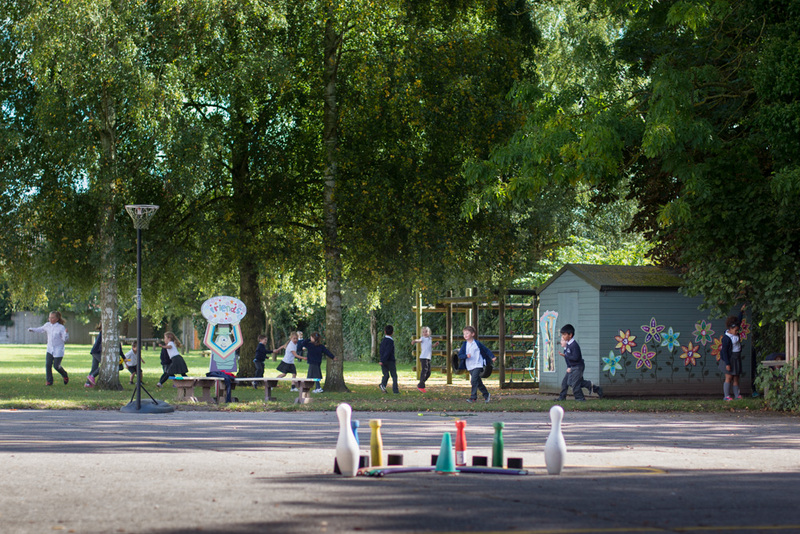 We have many different areas within our school grounds. 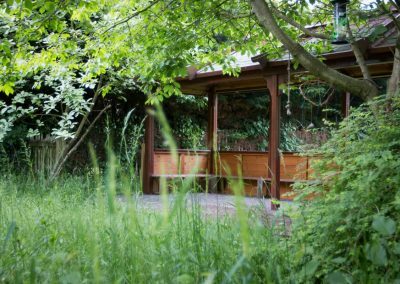 Our wildlife area includes a pond and a covered veranda which is an excellent space for the children to sit during outdoor learning time. 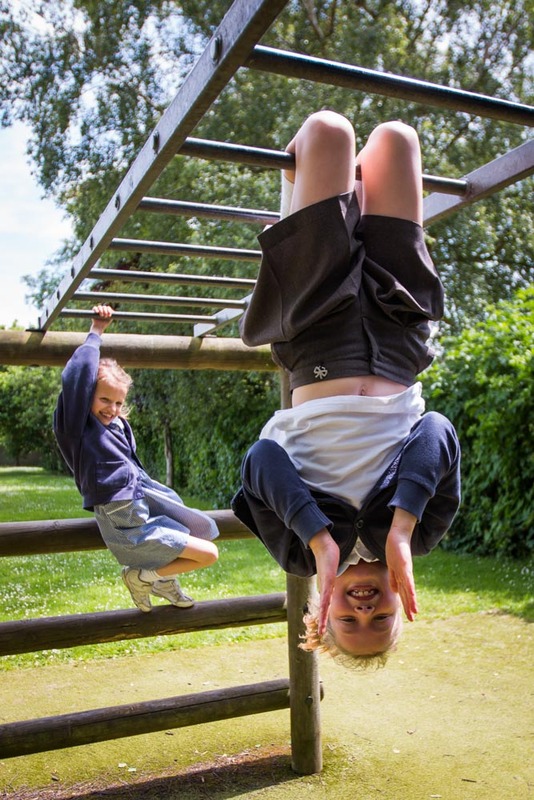 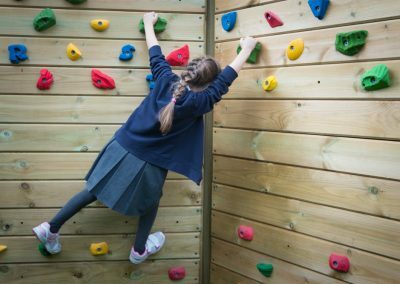 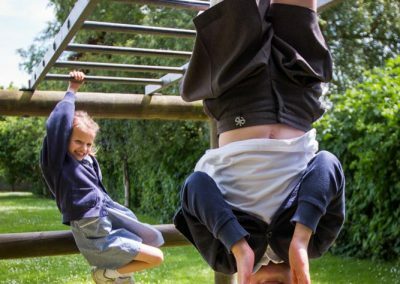 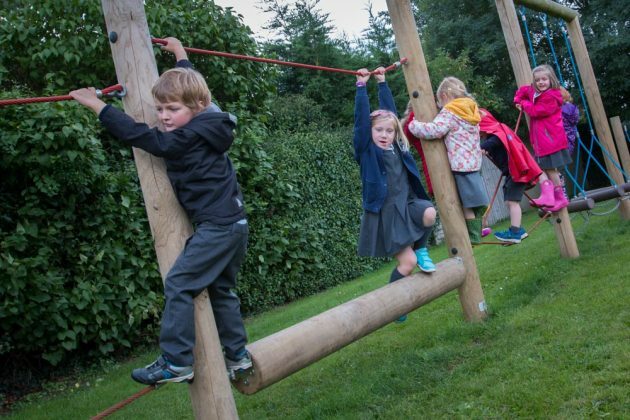 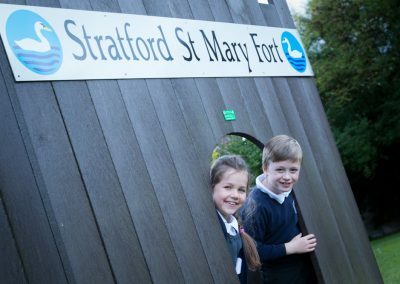 On our main school field, we have 2 football pitches and a variety of wooden play equipment; this includes a fort, a climbing frame, a gym trail and a small climbing wall. 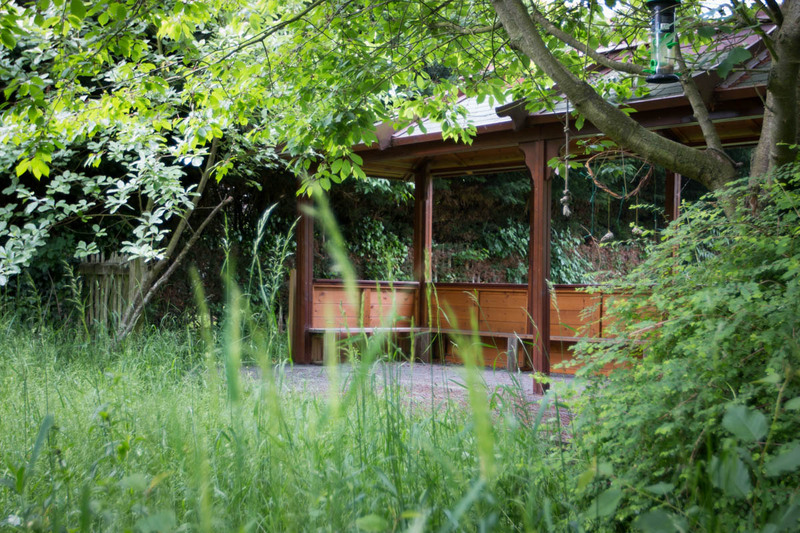 In the grounds we also have a ‘quiet area’ where there are picnic benches and a willow dome. 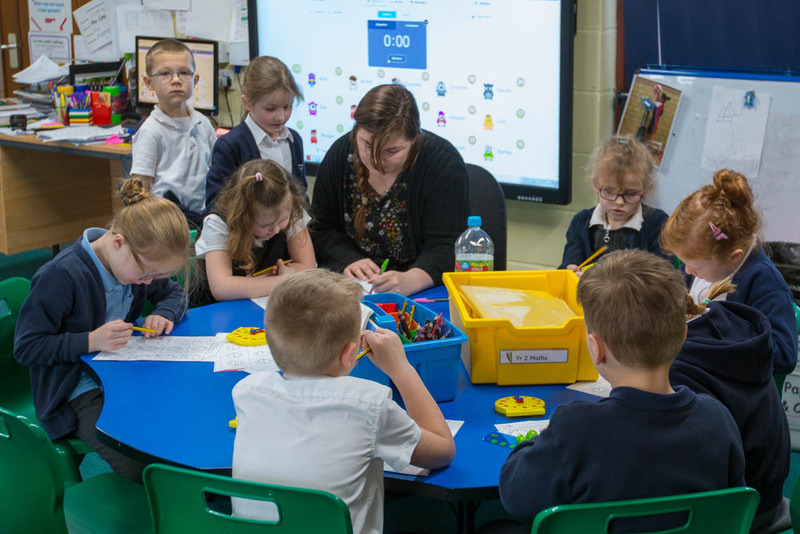 Our KS1/EY area links the indoor classrooms with the outside classroom. 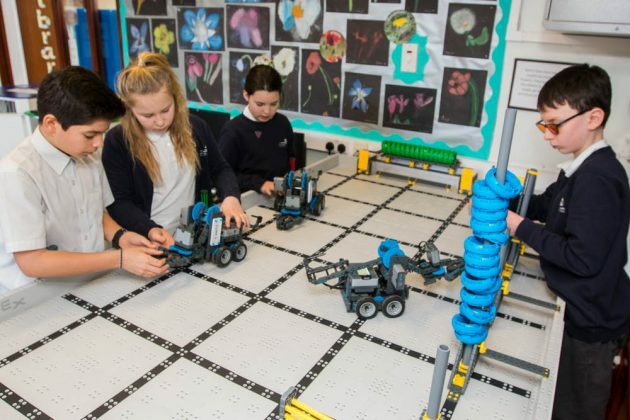 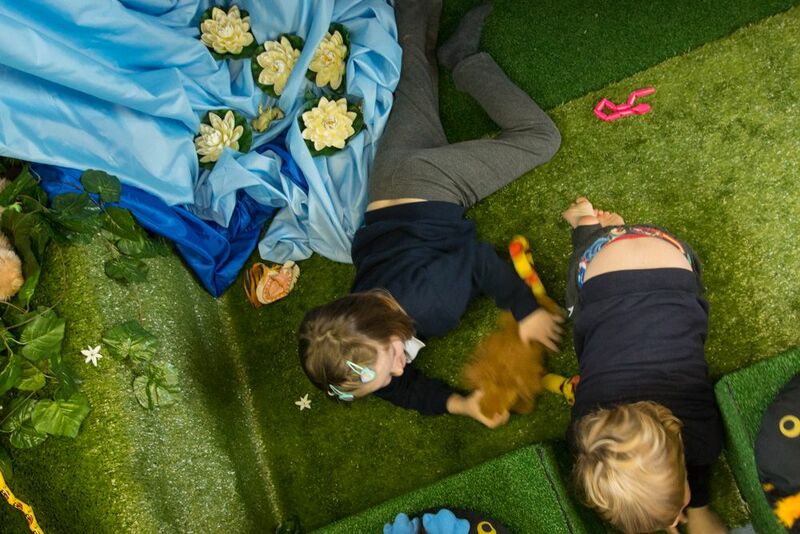 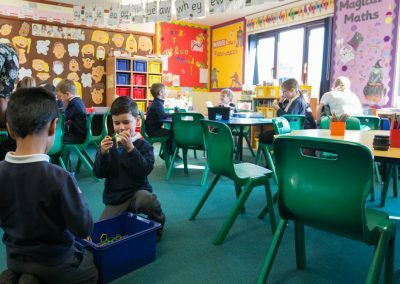 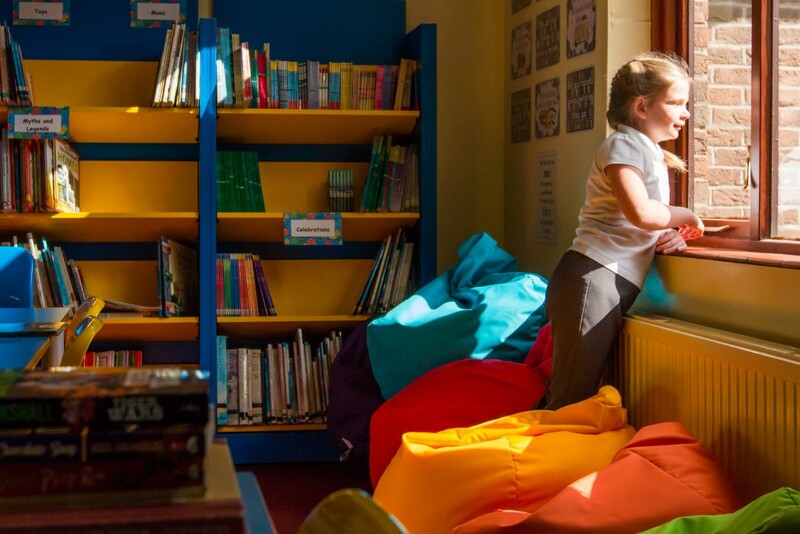 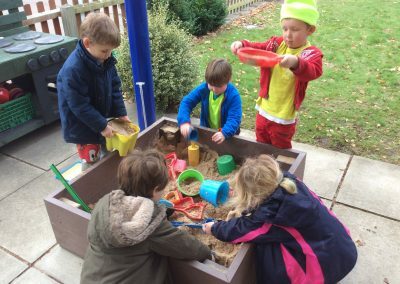 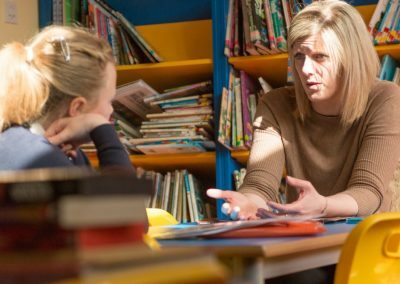 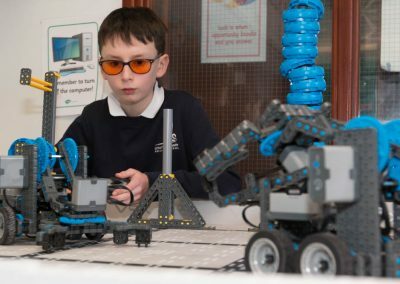 It is a light and bright space where the children can learn and enjoy activities such as the junk modelling, water and sand trays and the ‘role play’ corner. 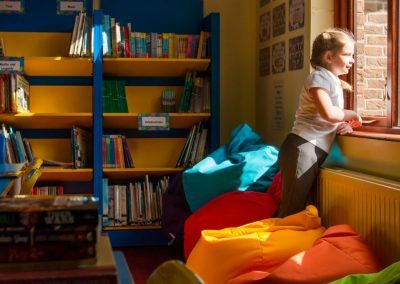 Our library is stocked with fiction and non-fiction books and the children use it on a regular basis. 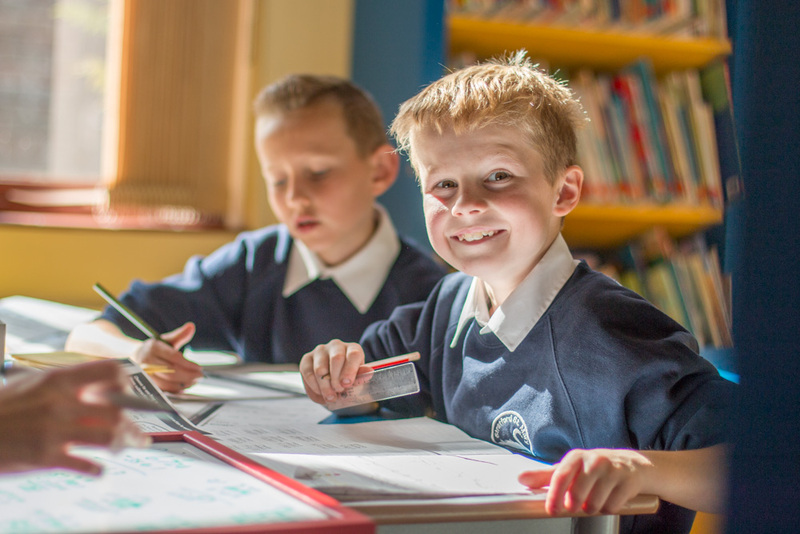 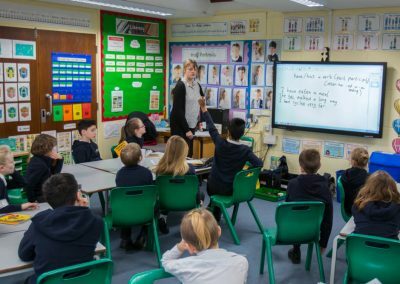 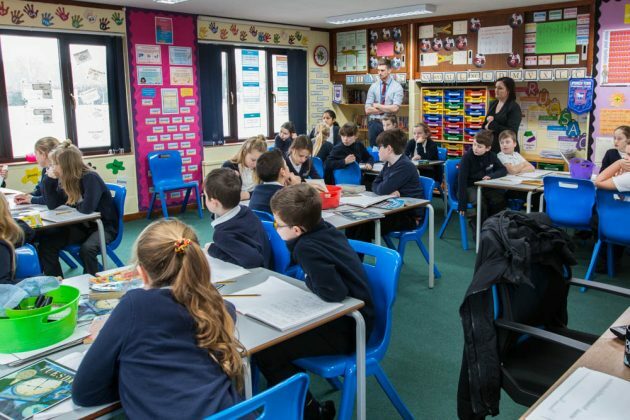 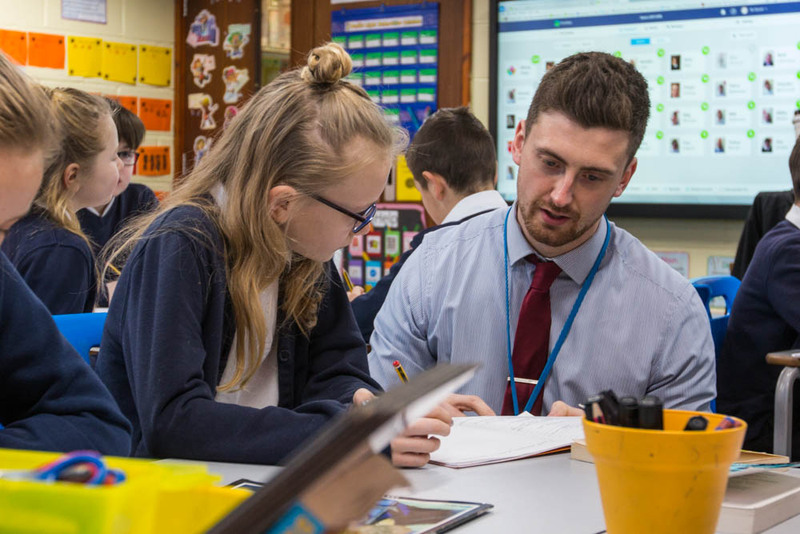 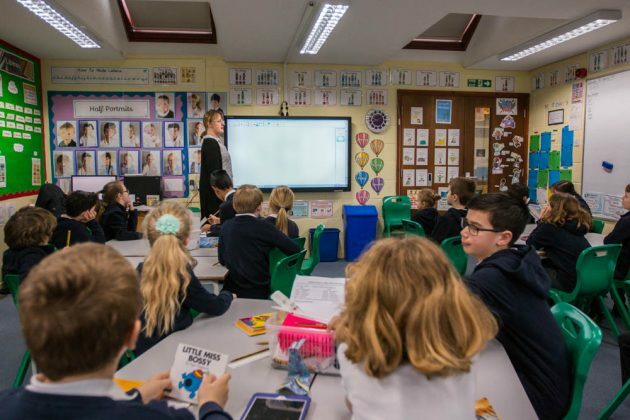 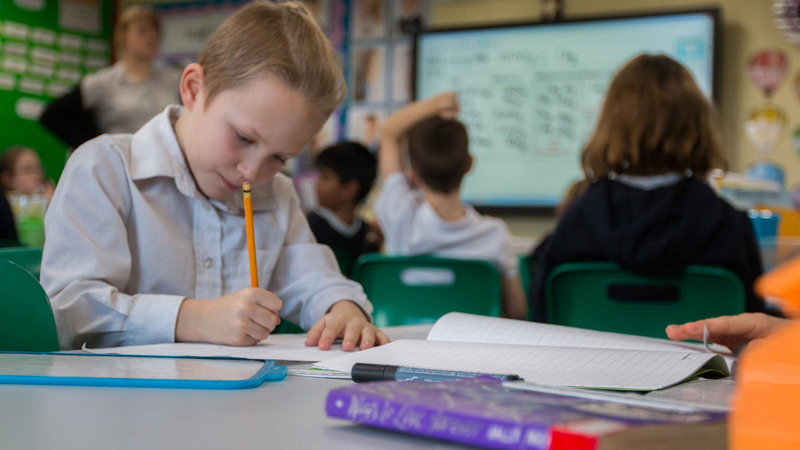 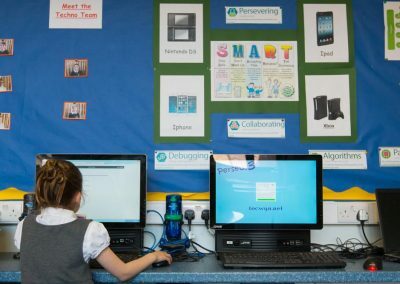 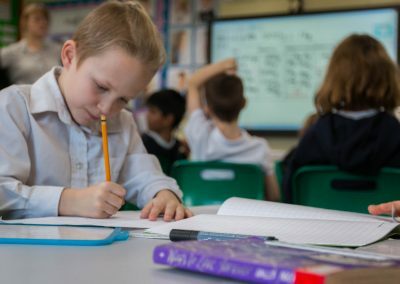 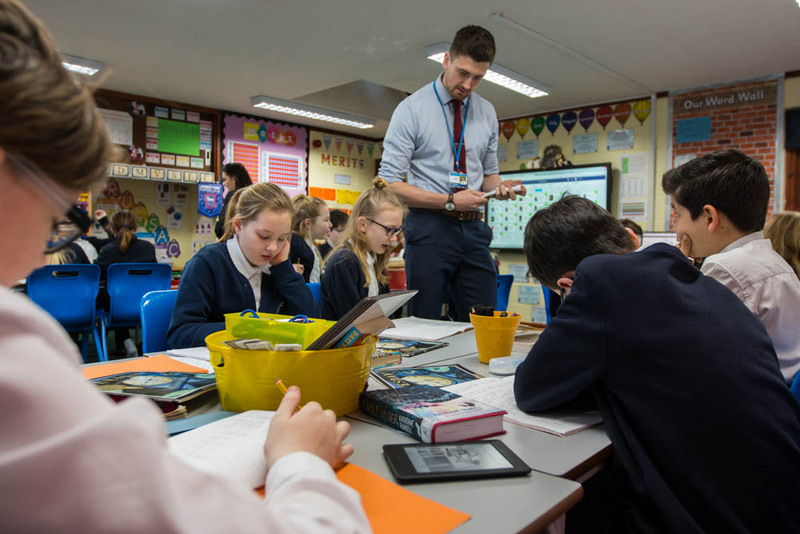 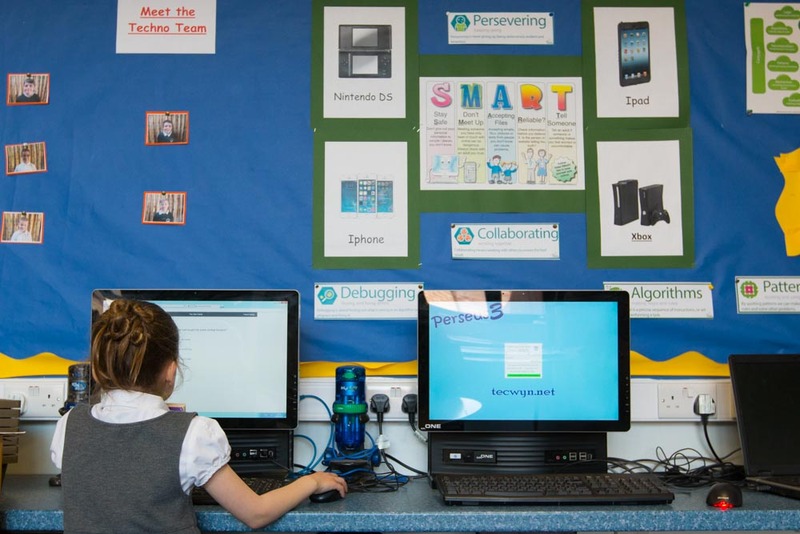 Our KS2 practical area is an extension of the Key Stage 2 classrooms, with bright displays of the children’s work and learning resources on the walls. 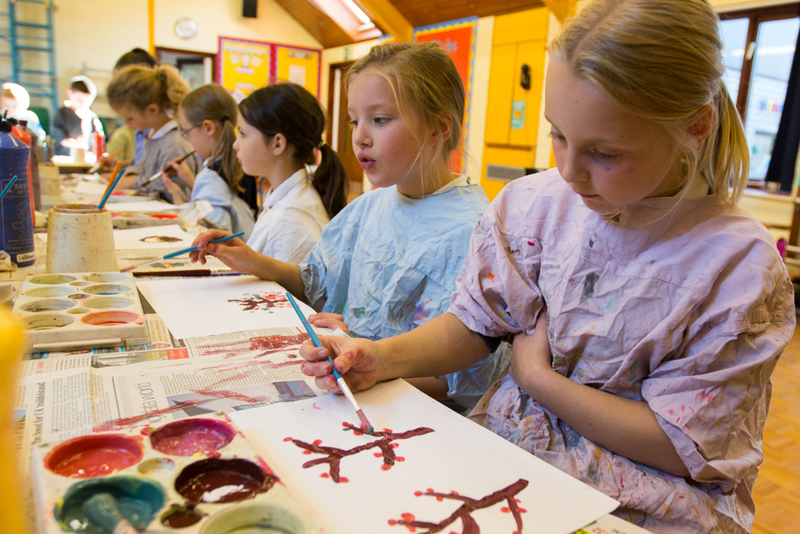 It is an ideal space for group work, science and art activities. 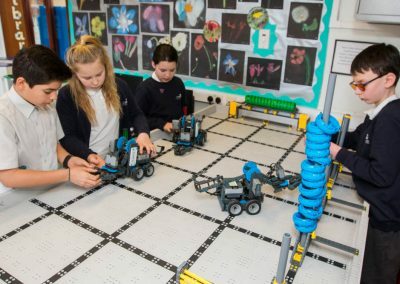 In addition to this, it houses our ‘Vex’ robotic arena! 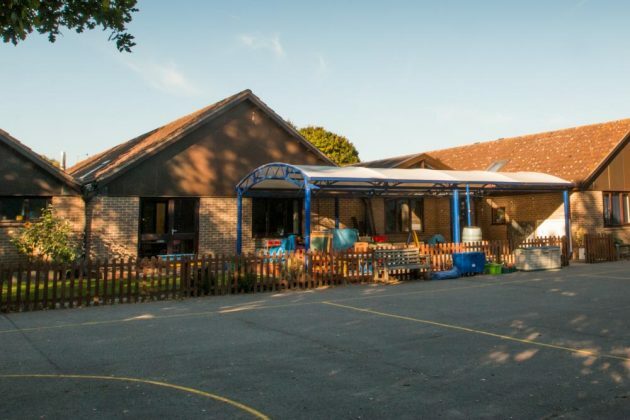 On our site, we have abc pre-school. 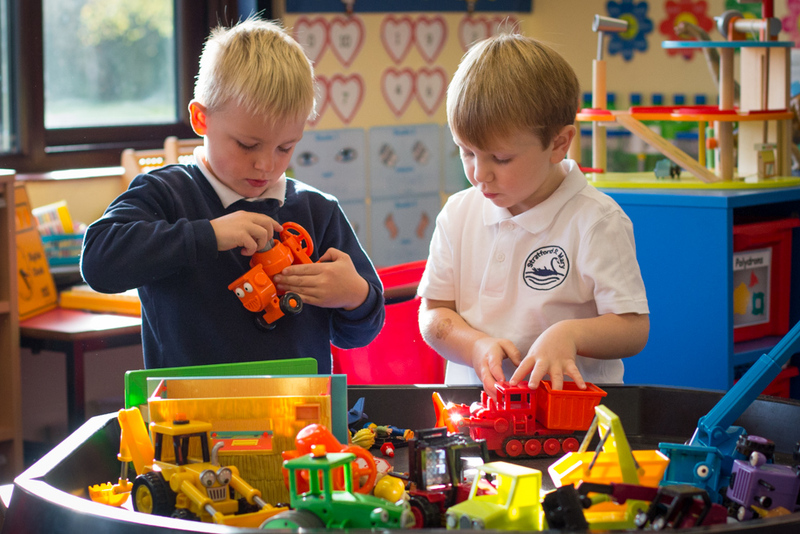 abc preschool welcomes children from age two to rising five years olds. 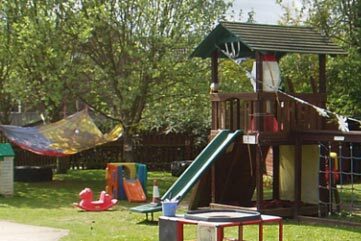 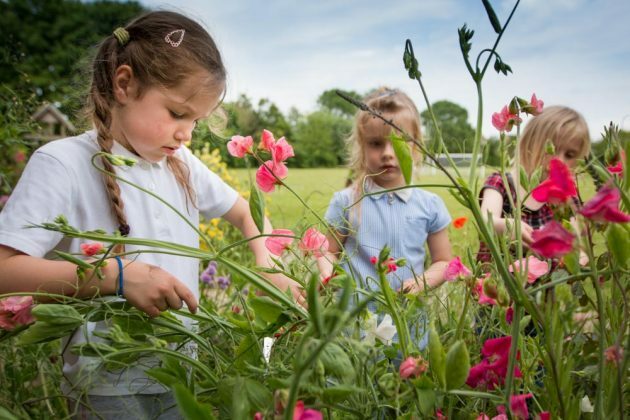 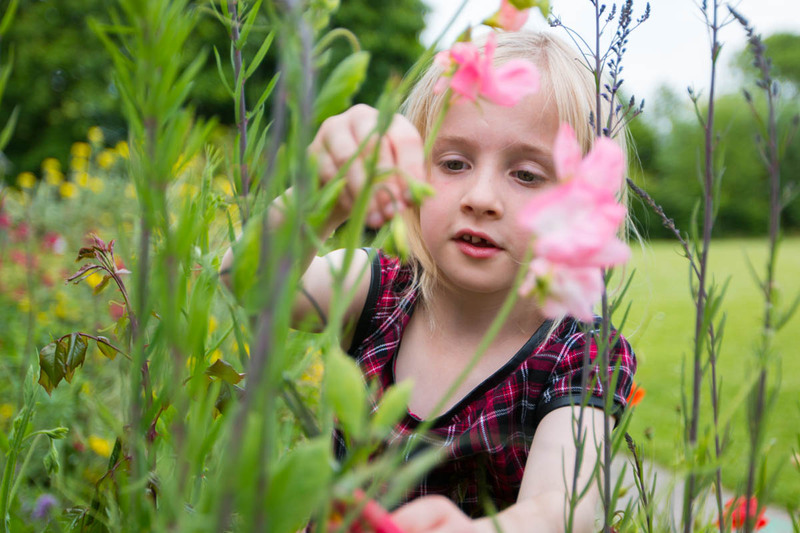 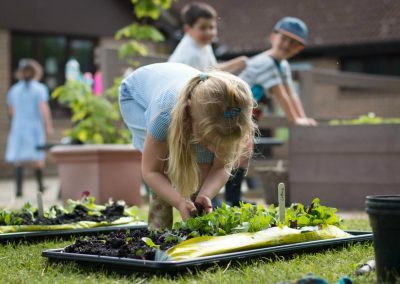 Established for over 20 years the preschool has its own purpose built premises, together with a wonderful outside space. 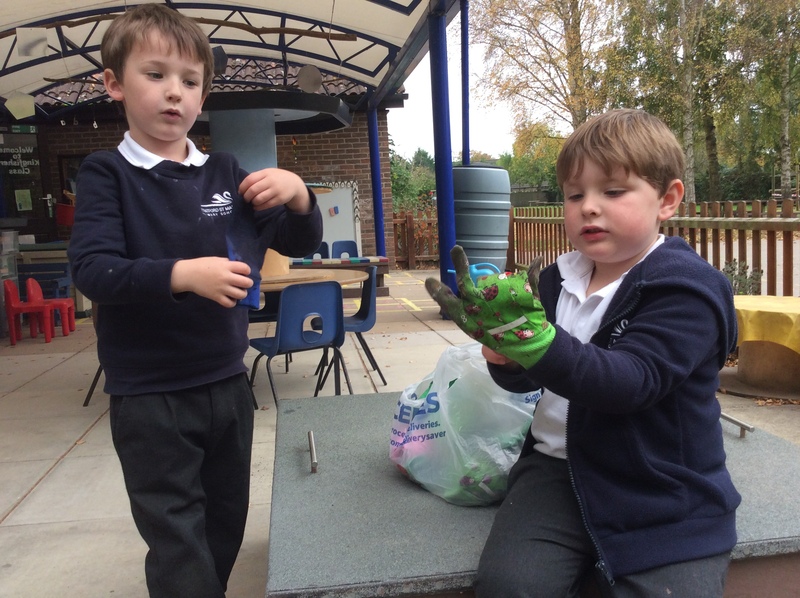 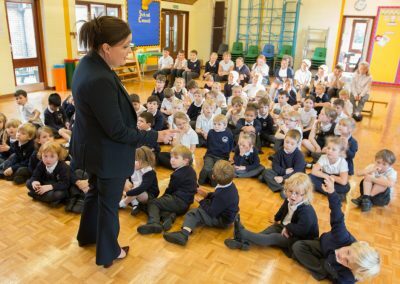 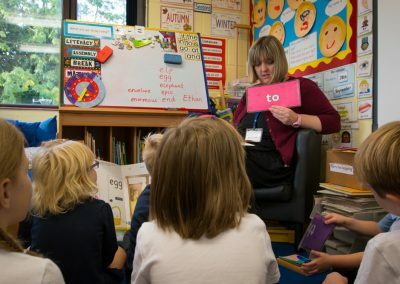 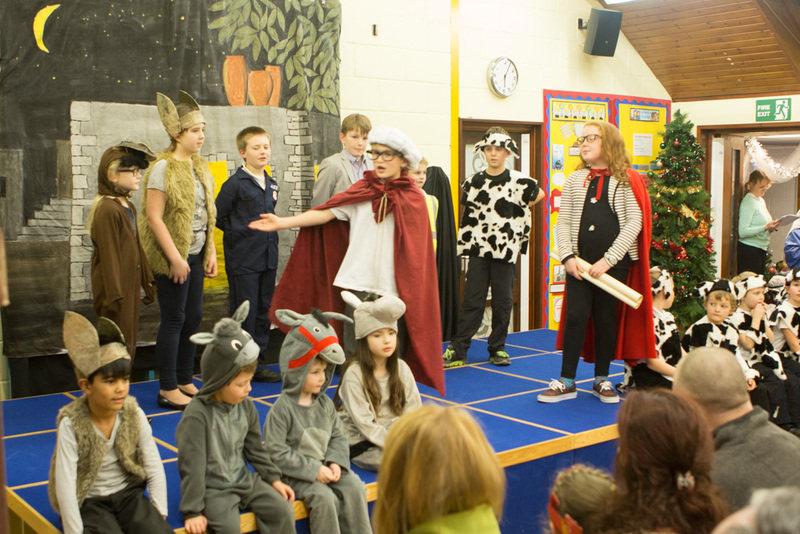 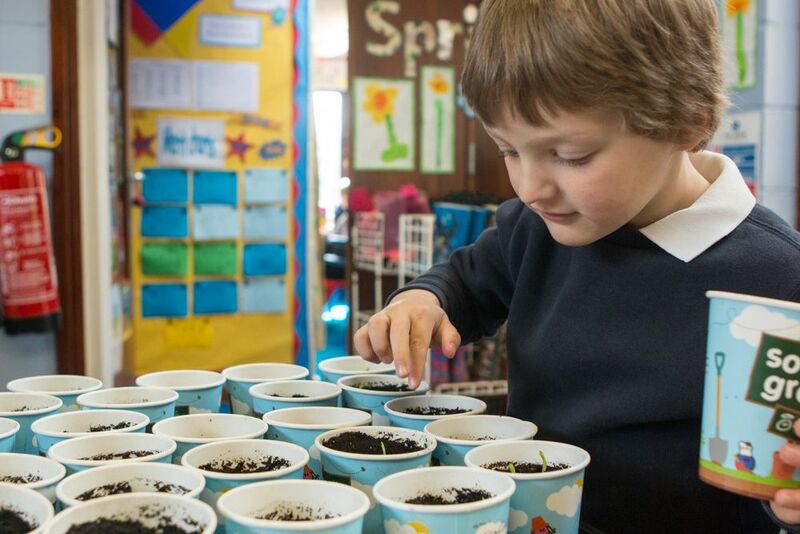 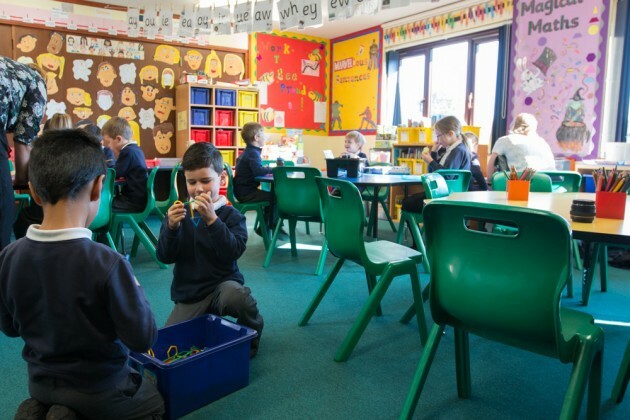 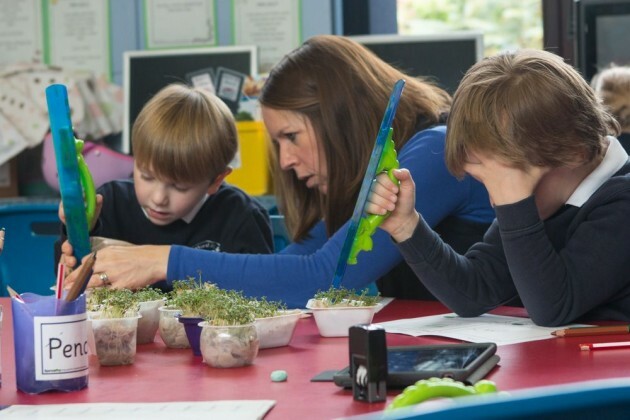 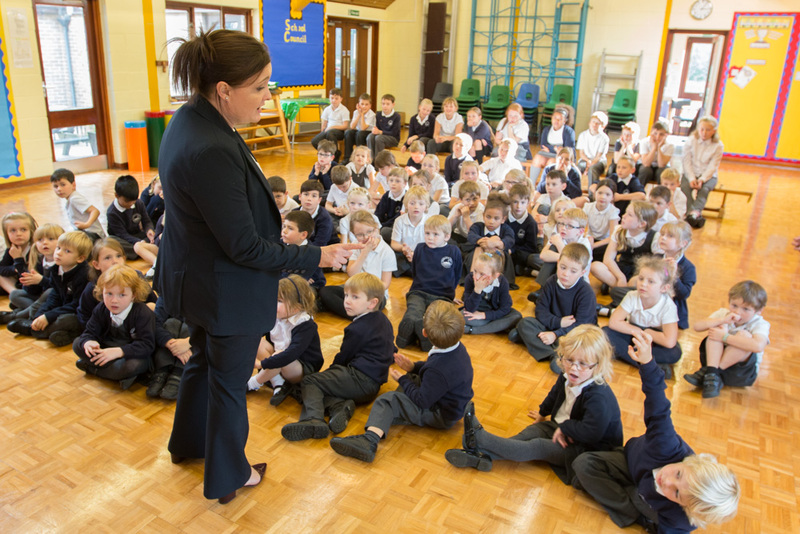 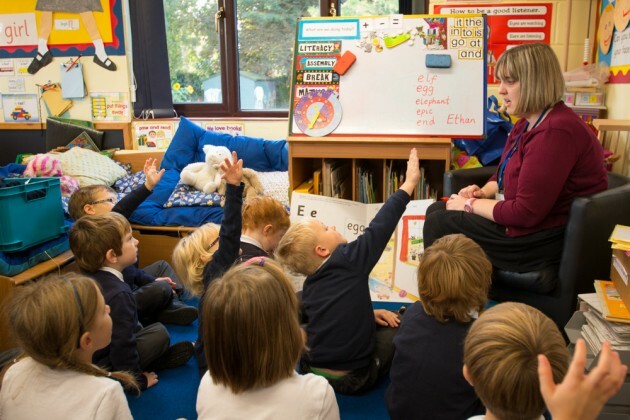 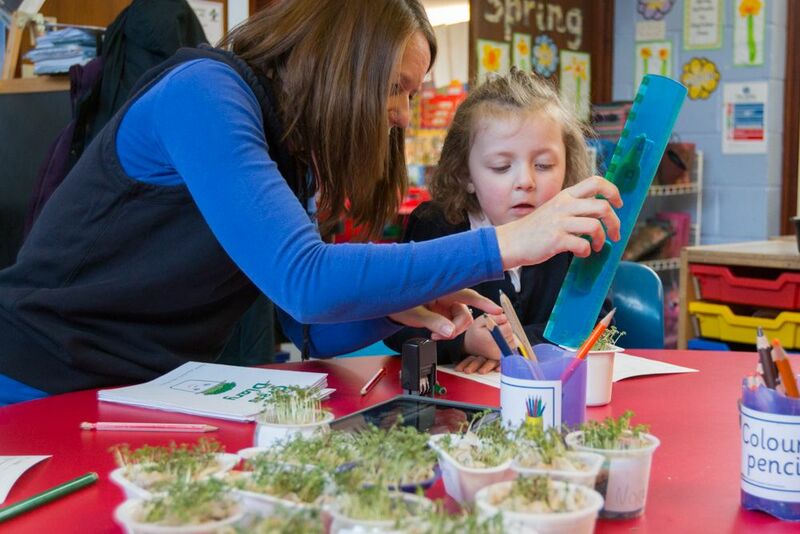 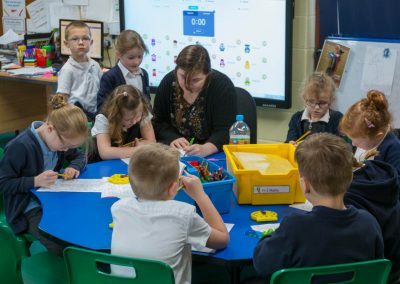 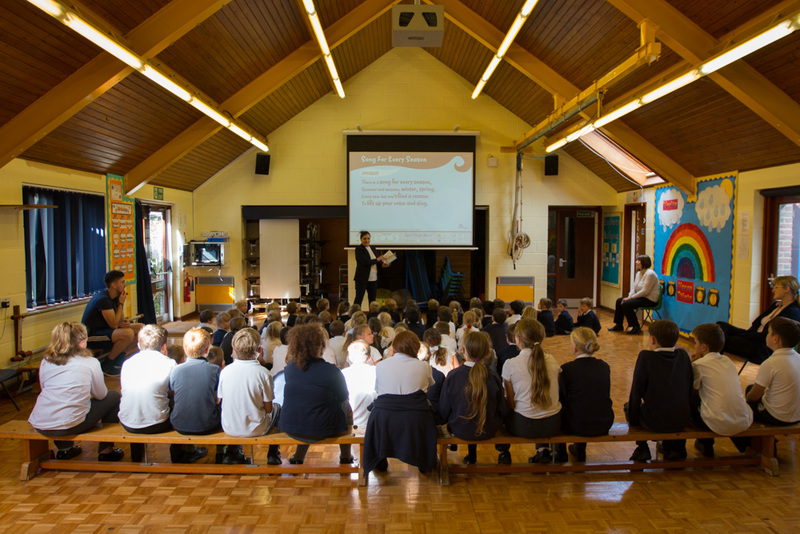 Our Early Years and Key Stage 1 area links the indoor classrooms with the outside classroom. 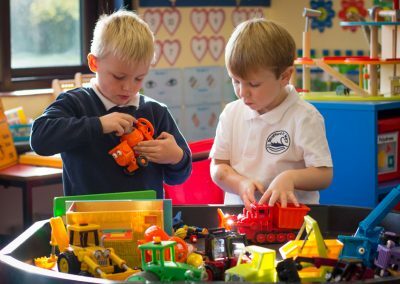 It is a light and bright space where the children can learn and enjoy activities such as the junk modelling, water and sand trays and the ‘role play’ corner. 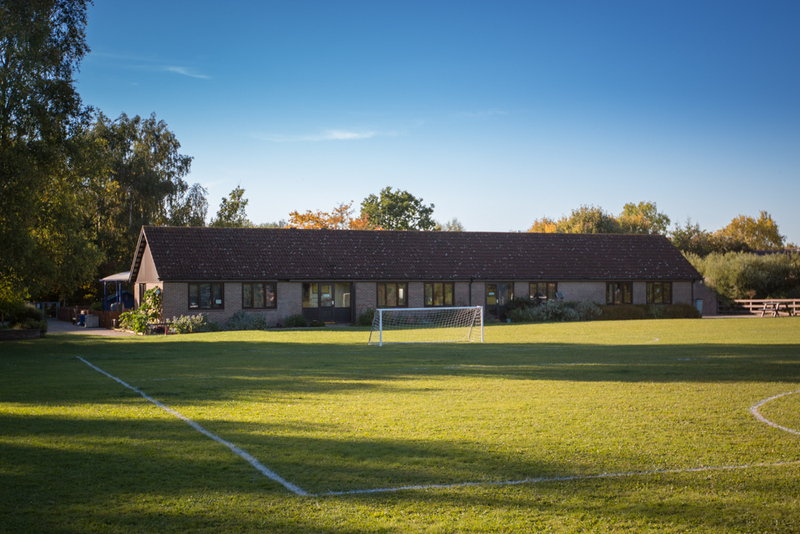 We are very fortunate to have fantastic grounds which span approximately three acres. 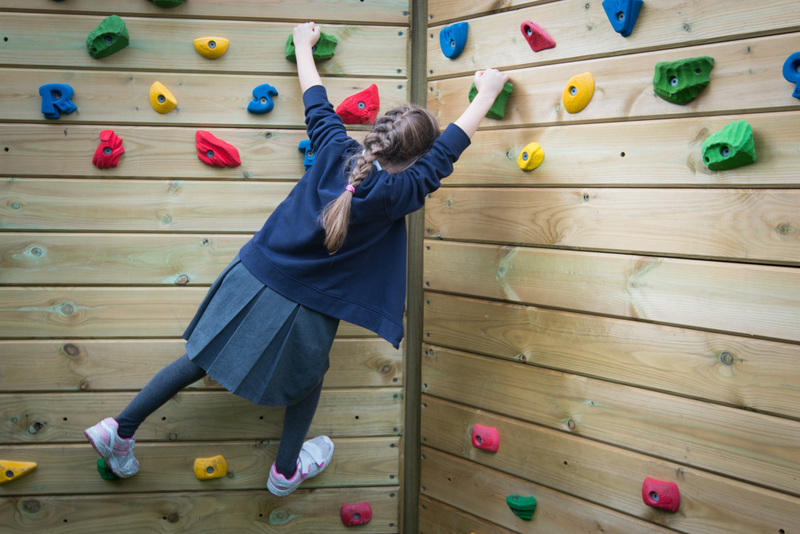 Within this space we have: a large field with a climbing wall, wooden climbing equipment and a gym trail. 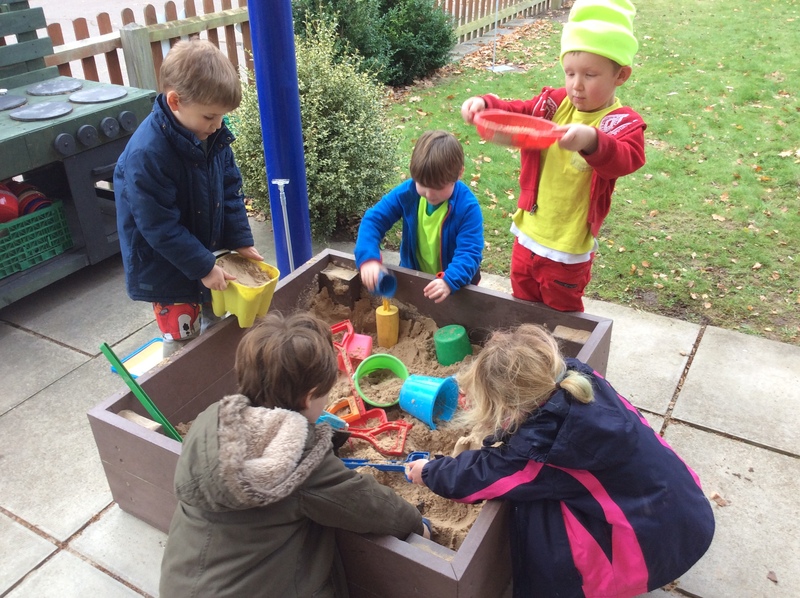 The children utilise this area each playtime whether this be in trainers or wellington boots! 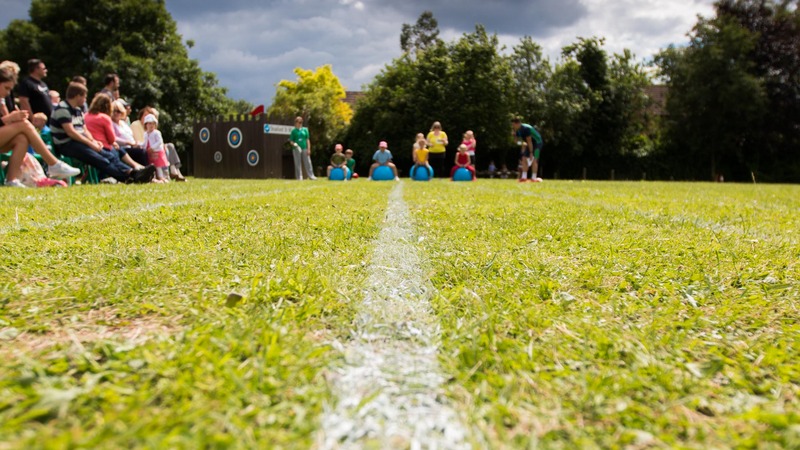 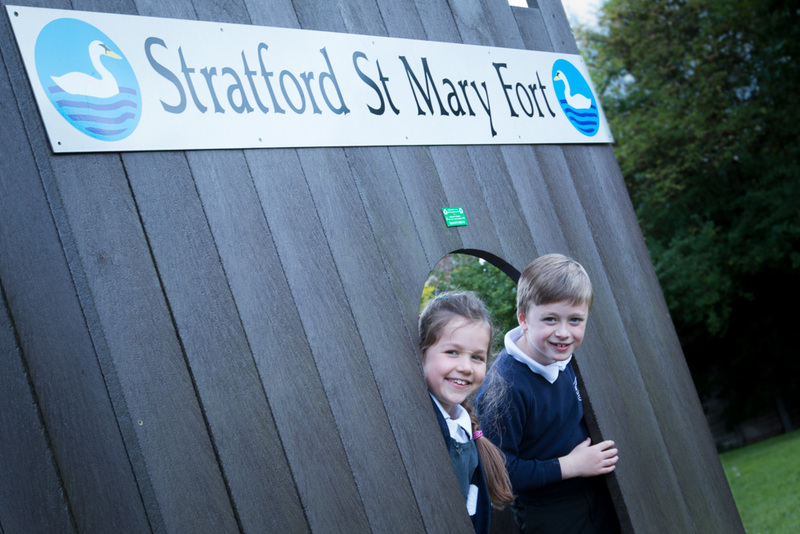 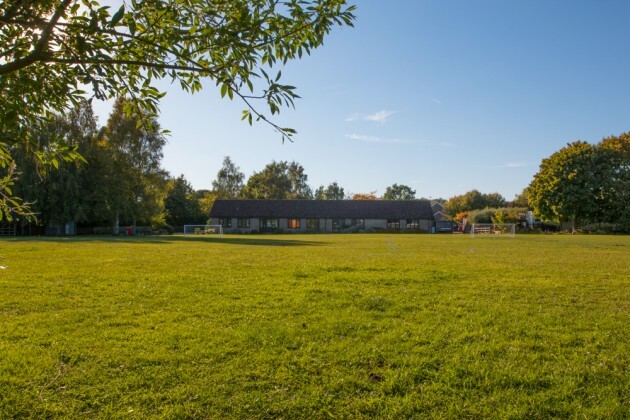 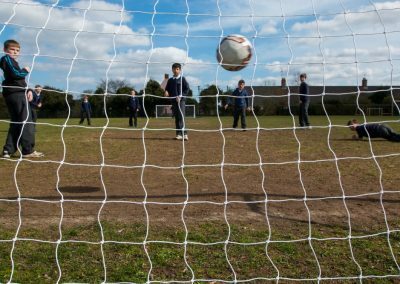 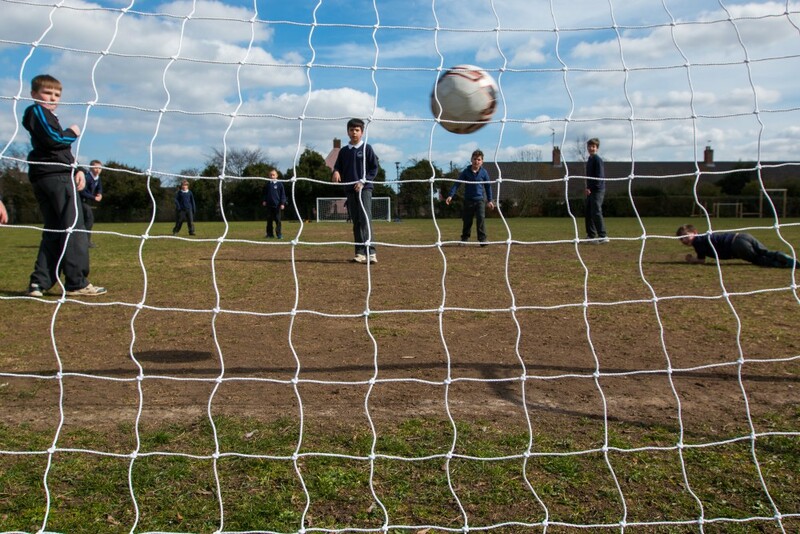 On our main school field, we have two football pitches and a variety of wooden play equipment; this includes a fort, a climbing frame, a gym trail and a small climbing wall. In the grounds we also have a ‘quiet area’ where there are picnic benches and a willow dome. 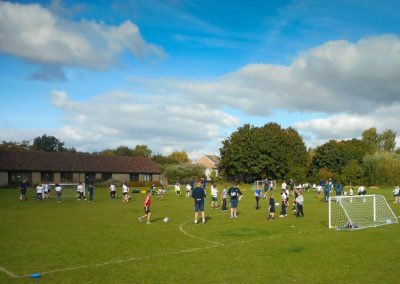 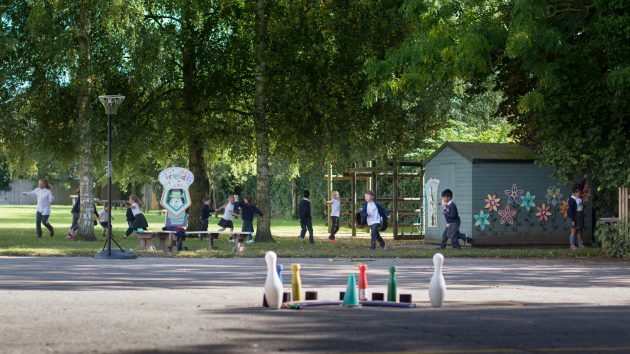 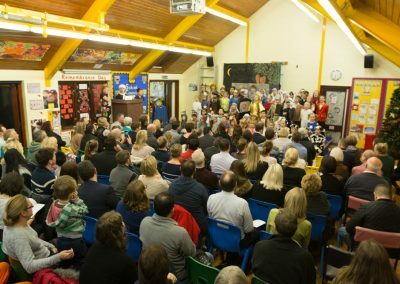 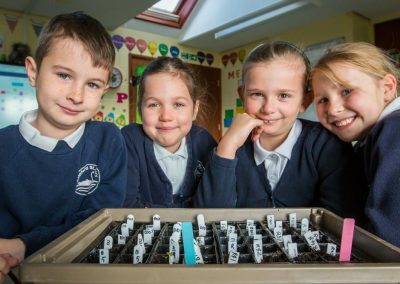 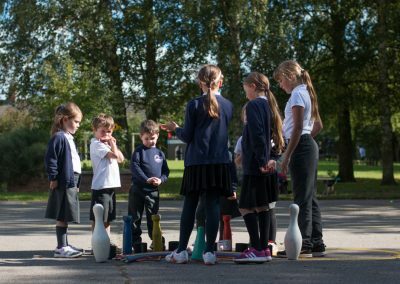 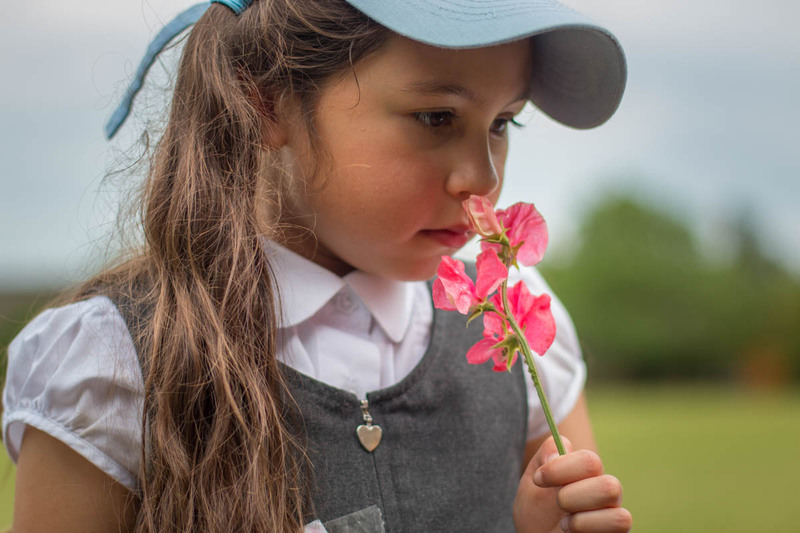 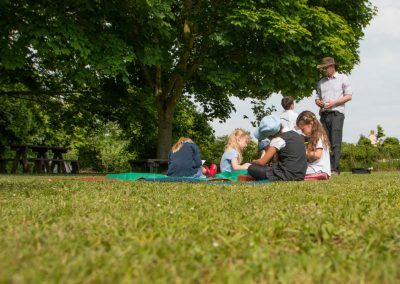 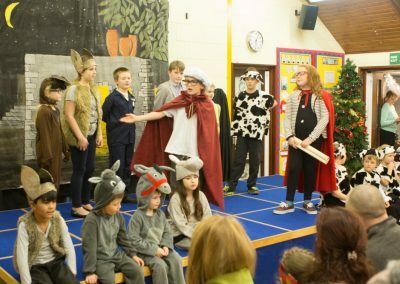 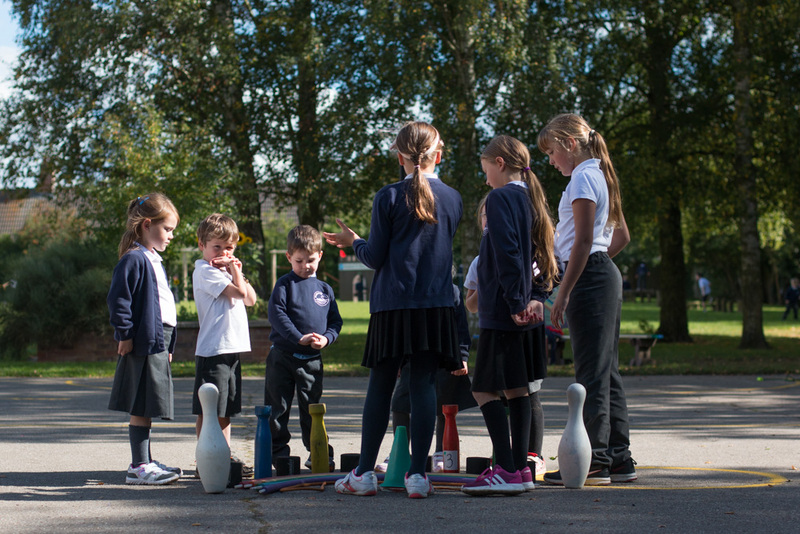 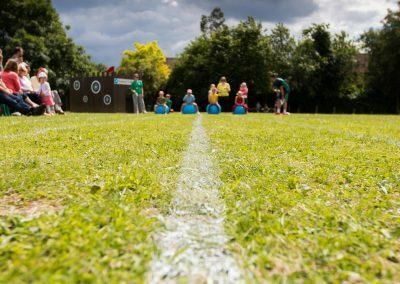 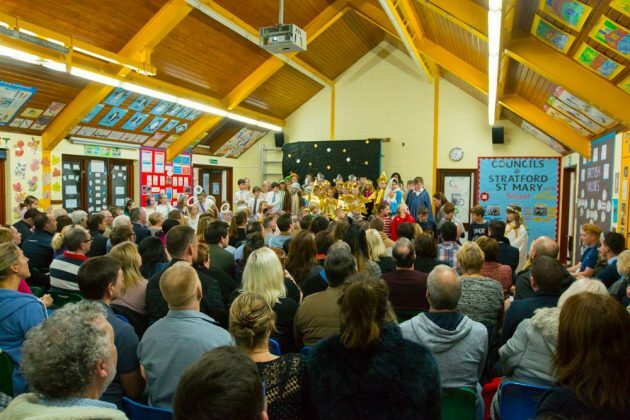 Due to the large space, our grounds are also used for community projects including the annual Firework event which welcomes 1000 visitors each year as well as hosting sporting events involving other local primary schools.